The Real Talk 1 Classroom Audio CD provides the audio of the In Person, On the Phone, On the Air, and In Class segments. 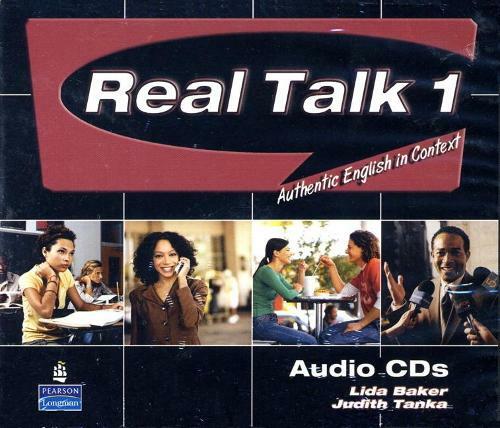 Real Talk 1, by Lida Baker and Judith Tanka, helps intermediate to high-intermediate students break away from the classroom and enter the world of authentic English. Each of the book's thematic chapters has four parts: In Person, On the Phone, On the Air, and In Class. The listening segments expose students to spontaneous face-to-face conversations, phone conversations and pre-recorded messages, radio broadcasts, and academic lectures.